Looking for a Shire log cabins? Wow – what a beauty. If you are looking to add the ultimate living space to your garden then look no further as the Elveden log cabin has it all. With a super spacious 26x14ft interior the possibilities are endless in how you want to use the extra living space. The elveden log cabin, if you are looking for an extra-large log cabin, somewhere to entertain or an additional living room to your home the Elveden is perfect. 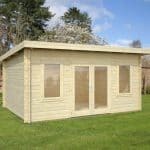 This 26 x 14 log cabin It can be used as a gym, office or any room you like as it is completely self-contained and offers superior quality and craftsmanship. 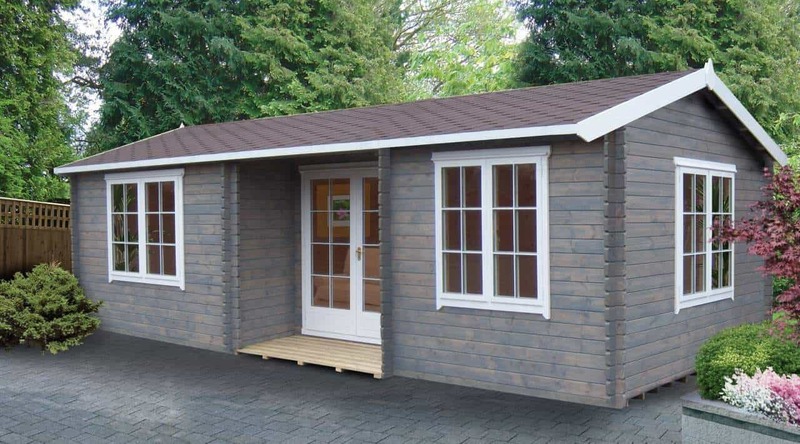 You’ll be making a grand statement with the sensational ranch style Elveden Tongue & Groove Wooden Log Cabin. 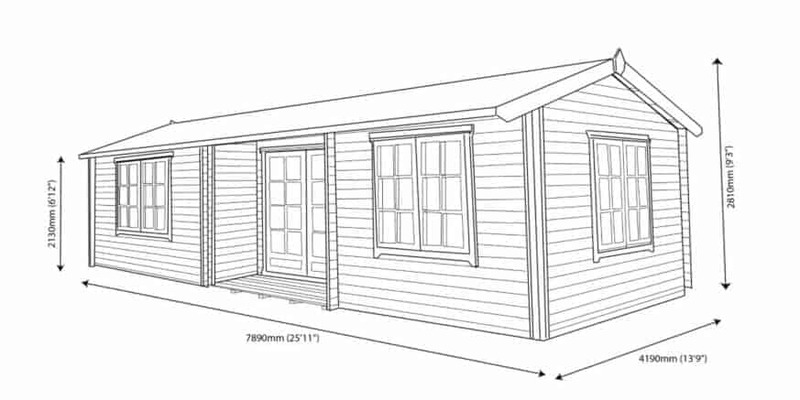 For beauty, style and contemporary looks it works perfectly especially for those with large garden spaces this log cabin will make a sensational show piece, almost a house in its own right, it has a large double front door with glass panes and generous size window giving good light, air and ventilation inside. It is a handsome building with an Apex style roof and enough space inside to entertain a gathering or even as an additional living space for you to relax and kick back in. This building is home delivered and assembled for your convenience. 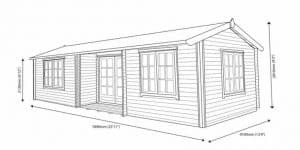 When purchasing a large item such as the Elveden log cabin there may be many questions running through your mind about whether this is the building for you. Below the team at whatshed.co.uk identify and discuss the range of features that this fantastic garden building could offer you and your family. Exterior: The attractive exterior of the Elveden log cabin will ensure that this will create a wow-factor effect within your garden. Painted a natural grey to blend into its natural surroundings, the 44mm log tongue and groove interlocking system ensures a strong and sturdy exterior, maintaining a comfortable environment in which to relax all year round. Interior: The stunning 26x14ft interior creates a comfortable living space that can be used for a multitude of uses including a gym, work shop, workspace, guest quarters or simply a garden room in which to relax. Windows & doors: The three large windows are made from toughened glass and can be opened to allow fresh air to circulate throughout the cabin. The double doors give a homely feel to the cabin as well as allowing easy access for larger equipment and furniture to be moved in and out with ease. 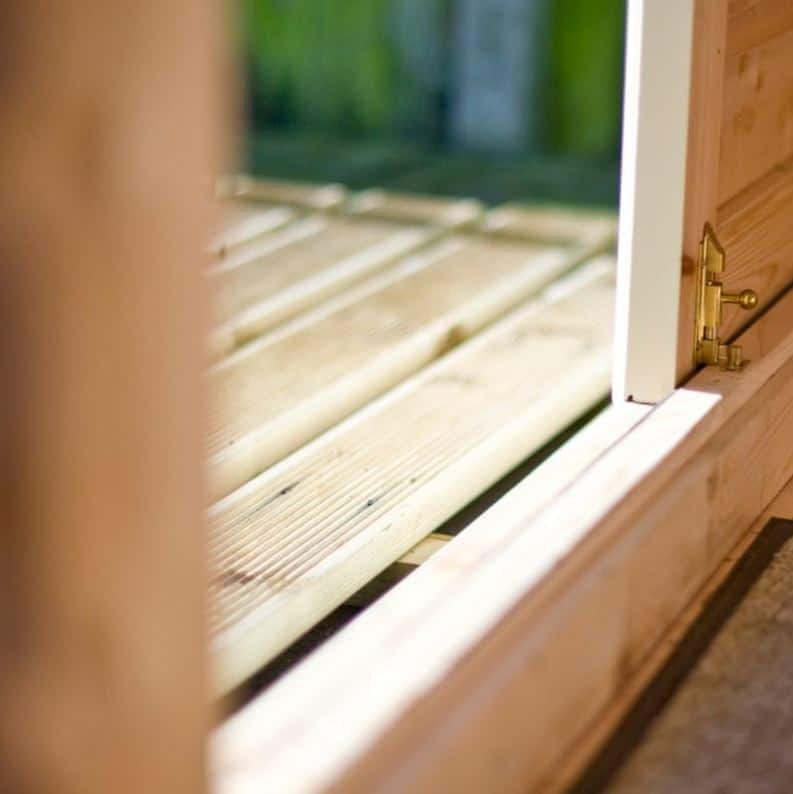 With felt roof tiles and a draught seal system fitted to both the doors and windows, your log cabin will retain heat and be energy efficient all year round. Security: Shire understands that due to the sheer size of this building, security will be required as you will be storing many items inside. The log cabin comes complete with a mortice lock mechanism on the front double doors to provide security whilst not in use. Shire Elveden Log Cabin: How easy to build? 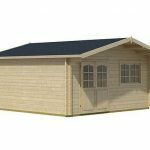 If you look at this Shire log cabins and wonder how on earth you are going to build it, especially with virtually no DIY experience, fear not as this fantastic log cabin is delivered directly to your home and assembled for your convenience. Shire provide a team of experts to put your log cabin together with ease before your very eyes, leaving you to sit back, relax and look forward to stepping into your new log cabin for the very first time. 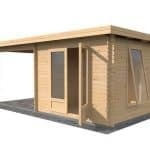 Shire are manufacturers of the largest timber garden building range within the United Kingdom. 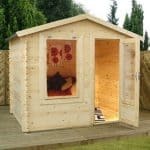 From sheds and summerhouses to pet houses and playhouses, they offer a superb range for all the family. With a personalised delivery and assembly service they provide the ultimate shopping experience. 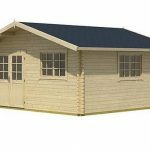 Their log cabins are pre-painted or can be painted to your requirements to match existing garden buildings or furniture. 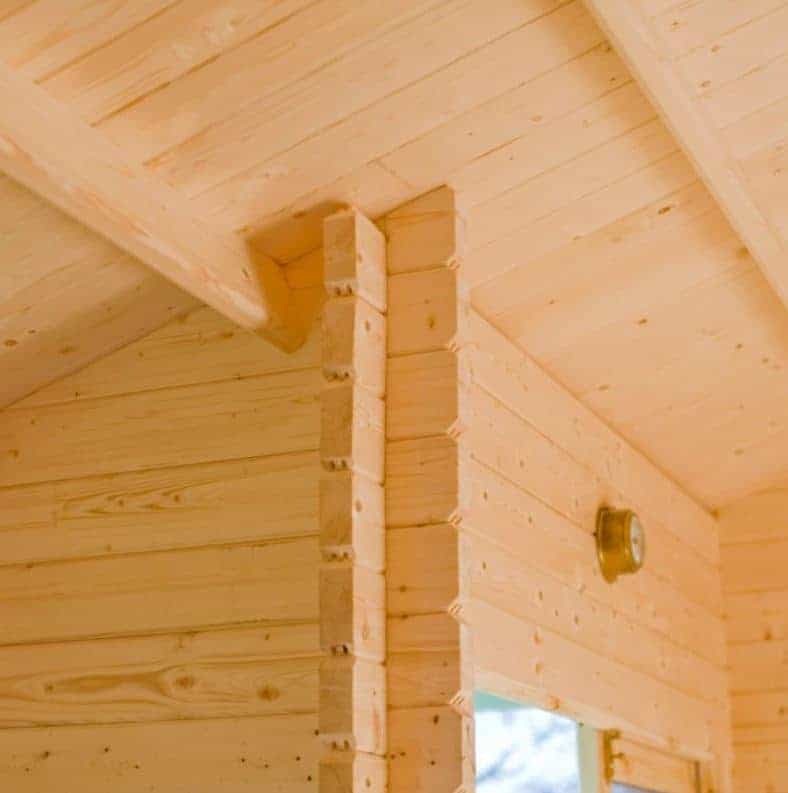 With a sturdy shiplap construction and interlocking tongue and groove boards, this log cabin is both aesthetically pleasing and built to last. 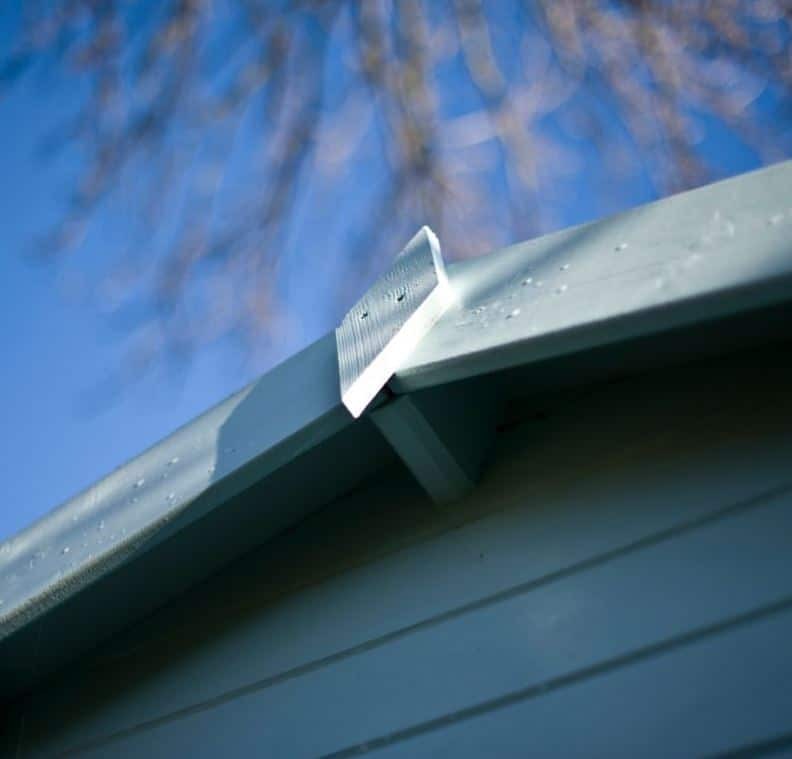 Built to provide year-round protection whatever the weather, adequate ventilation ensures that the risk of rust or mould is minimal and that your interior is kept fresh and clean at all times. To maintain your log cabins smart appearance simply sponge wash the window and door panels as required with soapy water. The Elveden log cabin is guaranteed to be standing strong in your garden for many years to come. Wow – what an incredible building to stand within your garden! This beautifully crafted log cabin not only looks stunning but provides an amazing interior space of 26x14ft which you can arrange to accommodate your exact needs. At this price point this will be a dream house for many, but if you are seeking this amount of space then very few models will match this specification at such a great price.